Four Seasons | Zonyxa. Unique and contemporary jewellery for Work. Love. Play. 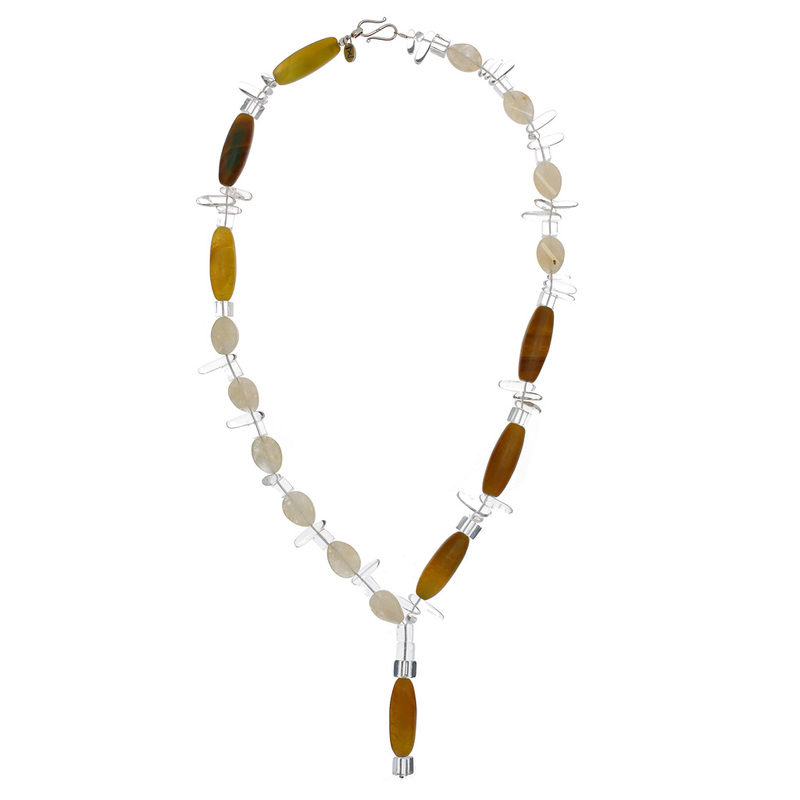 This statement piece showcases the autumnal hues of green-brown-yellow matt agate and creamy-yellowish aventurine and clear crystal. Its centerpiece is a long pendant fashioned from contrasting agate and crystal cubes. Wear all year around with a smart outfit or any time you want to feel special!